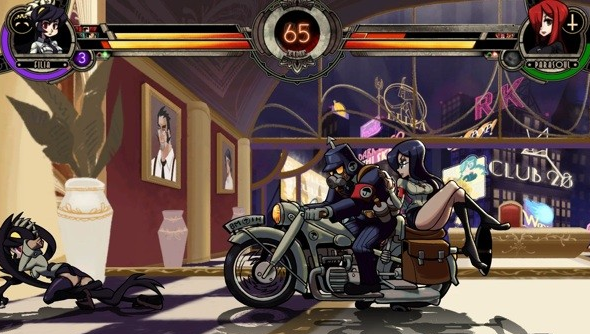 Halfway through a very successful Indiegogo campaign, developer Lab Zero Games have raised enough funds to develop a second new character for their soon-to-be-ported-to-PC fighter Skullgirls. Recently laid-off by Konami, Lab Zero turned to Indiegogo to raise the money needed to develop extra content they had planned for the PC release of Skullgirls. With that money now raised we’ll be seeing two new characters, Squigly and Big Band, joining the game’s roster. We’ve not written much about Skullgirls on PCGamesN thus far and that is a problem. It’s a fighting game that has me excited to play a fighting game, which is a rare event. 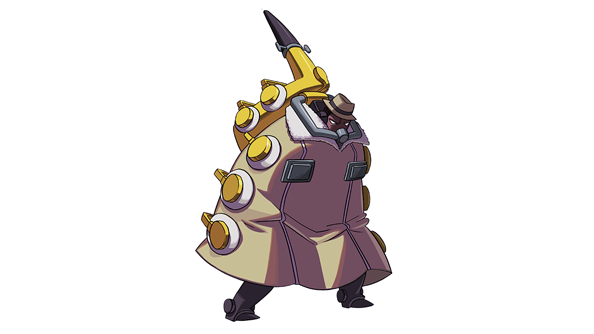 A good part of my anticipation is down to the art style: unlike games such as Street Fighter, Virtua Fighter, and Fighter Fighter: The Return of Staff Sergeant Max Fightmaster, Skullgirls stands out with its clean cel-shaded art style and, frankly, interesting characters. You can see that at work in the newly unlocked character, Big Band. The man is an ex-cop, gunned-down in his prime and rebuilt with saxophone parts. That’s ridiculous. That’s fantastic. But, also, coming out from the look of the game, it doesn’t seem as daunting as the more established fighting games. I look at Skullgirls and think that I’d be comfortable fumbling around online in a couple of bouts and not feeling like a complete rookie. Or not caring that I’m a complete rookie and actually spending the time with the game to get better. Skullgirls still isn’t out for PC but this Indiegogo campaign is sourcing the funds that will handle its port and the reward tiers are essentially our way of preordering the game while also securing new content for it. You can read more about the campaign over here.